Spanish TV Recommendation and HUGE poster! I got some exciting news today. 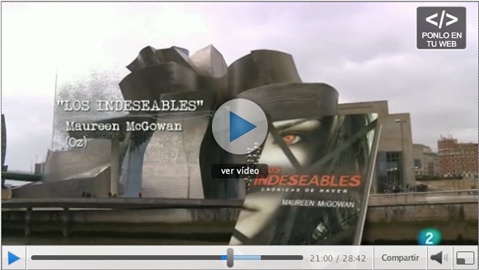 LOS INDESEABLES, (the Spanish version of DEVIANTS), was featured on the most important cultural review show in Spain, página 2. Here’s a snapshot taken from the TV show. And here is the actual program. Go to approximately minute 20:50. After my book, the presenter talks about the YA Film WARM BODIES.